"Save when you buy your Easter candy at Kmart!" 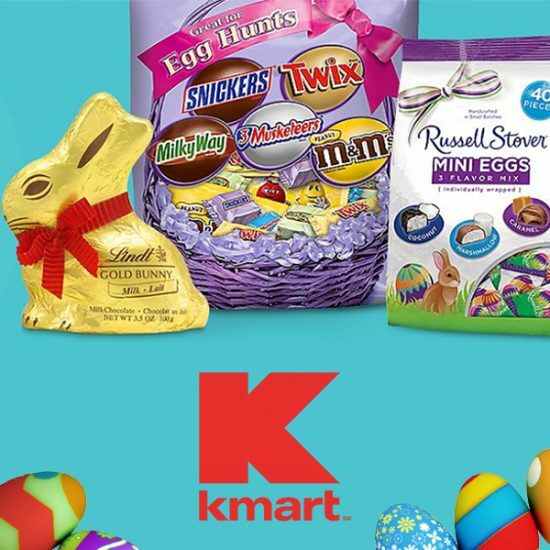 Avoid exceeding your Easter budget by shopping at Kmart for the candies you’ll fill your Easter baskets with. For a limited time, select candies at the store are subject to varying discounts. Shop at Kmart, take advantage of these savings and watch as your grandkids’ faces light up with delight at the amount and variety of candy they get!